The Congress and the JD (S) filed a writ petition under Article 32 of the Constitution of India in the Hon’ble Supreme Court Of India on 18.05.2018 against the decision of appointing a junior MLA Shri K.G. Bopaiah of the Bharatiya Janta Party or the BJP as the pro tem Speaker( or Speaker for the time being). The Application also seeks urgent directions to ensure that the Floor Test is conducted in a fair and transparent manner. In the petition, the credibility of the pro tem Speaker was doubted by contending that he had “dubious and controversial record of passing biased disqualification orders“. Strictures have been passed against him by the the Supreme Court in 2011 and 2012 wherein his disqualification orders were held to be vitiated with ‘mala fides’ and ‘undue haste‘. It was added “…the Petitioners reasonably apprehend that the sole purpose of appointing a relatively junior member of the House is…an attempt to seize and manipulate the floor test slated to be held on 19.05.2018 in the House…”. A) Videography of the Floor Test– Videography of the Floor Test is absolutely necessary for a free and fair floor test because in the absence of it, the petitioners would not be able to demonstrate to this court if there is any illegality. B) Procedure of Voting by division of voters into lobbies– This ensures that justice is not sub-served because the persons in the different lobbies can be counted in a transparent manner. C) No other power to be exercised by the pro tem speaker except administering oath and conduct of Floor Test– The pro tem speaker could not take up any other agenda because the petitioners feel that he would resort to powers of disqualification under the Tenth Schedule and purport to disqualify members of the coalition. The accompanying writ petition inter alia seeks to quash the decision dated 16.05.2018 of the Hon’ble Governor of Karnataka inviting Shri B. S. Yeddyurappa to be appointed as the Chief Minister of Karnataka despite the coalition of INC, JD(S) and others securing a comfortable majority of about 117 seats. There was a reference to the 2008 “Operation Lotus” contending that there is an attempt by the incumbent Chief Minister of Karnataka and the Union Government to replicate defections as in the year 2008 in the State. 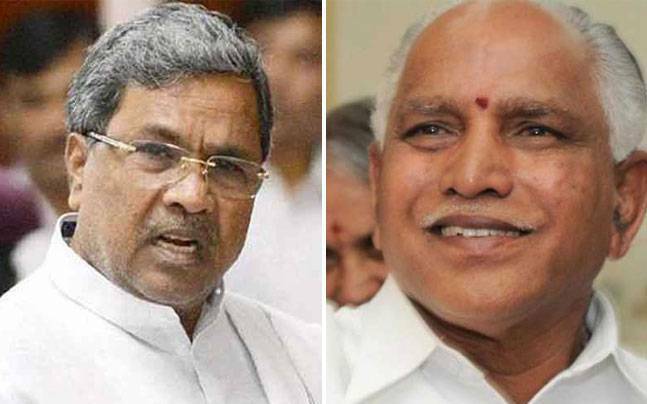 Two days after he took oath as the chief minister of Karnataka, BS Yeddyurappa resigned for not being able to prove the majority and remarked “If only people would have given us 113 seats instead of 104, we would have made this state a paradise“. This article is written by Gunjeet Singh Bagga.